To secure in the best conditions the circulation of the liquids between a fixed inlet and a movable part whatever working pressures, temperatures, rotating speeds, motions, cross sections of passage. 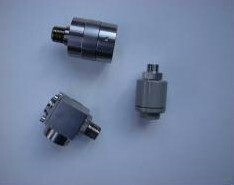 Knuckle joint rotating couplings : diameter 1/4 up to 3". Sealing housings, revolving housings, revolving flanges.